The Pastoral Development Office have invited H.E. 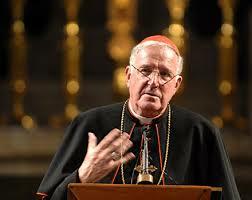 Cardinal Cormac Murphy-OConnor to speak on the theme Pope Francis and the Gospel of Mercy in Christ the King Church, Turners Cross, Cork city on Sunday 21st February at 3pm. Bishop Buckley will launch The Year of Mercy Pilgrimage in Cork City at this gathering.